Whether it is currently winter where you live or if you are already enjoying a nice warm day, if you are an outdoorsy type like we are, it is a safe bet to say that, you can’t wait to load up your car or SUV, go camping, hiking or golfing with your friends. In any case, chances are, you find yourself needing more cargo space than your vehicle provides. You need extra room for those golf clubs, maybe your family is growing and you have more camping gear than a few years ago, or you are going on a weekend trip. Whatever the case maybe, if you need more information before you purchase a rooftop cargo box for your vehicle, we will cover one of the most well-known cargo boxes for you, so we can hopefully help you make a better decision. Click here to purchase Thule 682 if you don’t have time to read the full review. 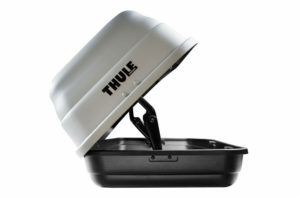 In this article, we are going to review Thule 682 Sidekick rooftop cargo box. 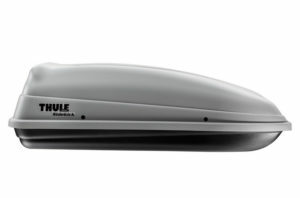 Manufactured by Thule, one of the leading companies in the world in storage solutions for people on the go. 682 Sidekick is highly regarded by many as one of the better rooftop cargo solutions. But is it the right one for you? Let’s find out. Feel free to click the item in the contents table below to directly skip to the part of the article you are interested in the most or continue to read below. 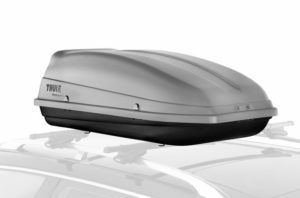 When you buy the Thule 682 Sidekick, you will receive the rooftop cargo box, 4-U-bolts, and brackets, 4-knobs, 2-camlocks with keys, 1-sheet of vinyl hole covers, all necessary additional hardware, a user’s manual with a warranty card. It comes in one size and only in one color, gray. It has 8 cubic feet of storage and carries up to 110-lbs. You will need a roof rack to be able to install this box. The box is constructed UV and impact-resistant ABS plastic. UV-resistance protects it against sunlight exposure. If you have ever seen a ‘cheap’ backyard furniture that is faded and cracking, it is because it is not UV-resistant, this product is. The most important mechanical properties of ABS plastic are impact resistance and toughness. It also provides excellent stability under load with limited loads. It is waterproof, as a matter of fact, this feature is one of its strongest ones according to many reviews we have read online. The box includes 2 locks to secure box contents and lock the box to the carrier. Sidekick 682 allows for one-handed usage, with the lid staying in place when opened. There are two included locks to secure box contents and lock the box to the carrier. Once it is assembled, it is easy to load and unload cargo into the box. Its size also makes it perfect for smaller cars. It is manufactured light, specifically for that reason. A couple of examples from buyers are, 4 door Hyundai Elantra and Mini Cooper Countyman. In both cases, they said it was a perfect fit. The 682 will also fit on your Nissan Rouge as long as it has crossbars to attach the box to. It will fit round crossbars. Also, it is compatible with Yakima cross bars. It is also small enough that you might be able to keep your 2 bike racks on the rack permanently. Multiple users mentioned how pleased they are with the product because the unit kept the contents dry and secure, even after driving in heavy rain and over 1000 miles. Initially, it might seem a little flimsy, however, as we have mentioned above, it is designed to be lightweight, and when it is fully assembled, it feels sturdy. It is more than durable enough to endure a long cross country trip with no issues. 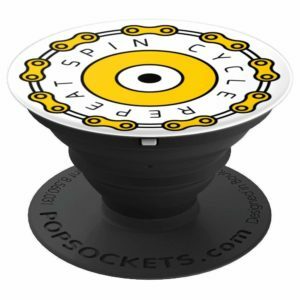 It has received over 140 positive reviews with a 4.1 (out of 5) star rating on Amazon.com. As stated above, it does fit two golf bags, also one user reported that she was able to fit a double baby stroller for her twins. One major issue that comes up over and over again is the installation. It may require two people and will probably take a little longer than you would like. For a simple-looking product, installing it might prove to be a challenge as far as how much time you might spend. From looking at the instruction manual, installation does not seem to be that complicated, it just looks like there is an ‘IKEA’ like procedure, lots of screws, bolts, and small parts. If that is not your cup of tea, it might save you valuable time to consult a friend or a professional that has some expertise on installing roof boxes. To be fair, depending on what kind of vehicle you have, the installation might be easier or harder. Unlike the latches on other cargo boxes, the latches on this box require a key to use. It is a tall unit, it will add 16 inches to the height of your vehicle. If you own a tall SUV or a car, consider the new height, for parking, traveling etc. Just to be safe, for example, you might want to add 20 inches (16 inches for the box and an additional 4 inches for safety) to the current height of your vehicle, to see if it might fit easily into your garage. It also might be an issue in some parking structures. In a couple of cases, the buyers said they had difficulty using the U-bolts with the factory installed roof racks, specifically with Nissan Xterra and Toyota RAV4. However, this might be an exception rather than the rule. Installation and/or removal of the 682 Sidekick from your rack is done via Thule’s U-Bolt mounting system, which is included with the cargo box when you purchase the unit. Installation instructions are included with the product, also can be downloaded as a pdf from the manufacturer’s website. Simply, find the header that says “Downloads” and click on “user manual”. Each corner of Sidekick has four pre-bored holes aligned along the length of the box. Because of the pre-bored holes, the unit requires a minimum spacing of rack crossbars of 23⅝”, and a maximum spacing of 32 1/16″. It is easy to drill your own holes if you need different spacing – some buyers said they had to drill a couple of holes in order to make sure it fit the rack right. However, please think twice before doing this, you do not want to compromise safety and do something that might void the warranty. Thule offers a limited lifetime warranty for all its products. Please click here for a more information on the warranty. The weight and size of this unit make it UPS shippable, which means it does not need to be shipped directly by the manufacturer or a drop-shipper. 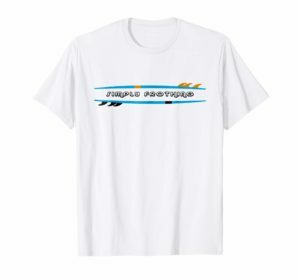 You can purchase it from an online store such as Amazon.com and have it shipped directly to your home by them. 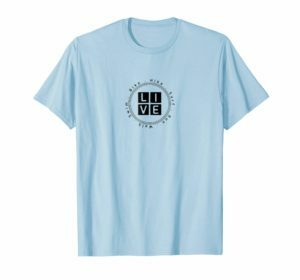 Amazon.com currently has a free shipping policy on purchases on a certain amount and also has convenient shipping options for its prime members. However, please check with Amazon.com in order to get the most up to date information on this subject. 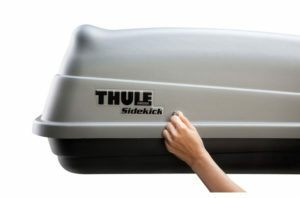 Thule Sidekick 682 has been around for a while and continues to receive good feedback from the buyers. It is important to point out that, this box is a smaller box. It would serve you well to consider how much cargo you are planning on fitting into a rooftop box. Even though this box seems to be more than enough for what it is made for, you may need to visualize the actual size of the box before you purchase it. We recommend a simple solution. Grab a couple of measuring tapes and ask a friend or your significant other to help you create the dimensions of the box in your living room or garage. Do not forget the height of the box as well. This might give you a rough idea of the cargo space Sidekick provides. You may even want to place the bags, golf clubs, and or camping gear you are planning to use in this “visual box” you have created. The last thing you want is to buy the unit, assemble and install it and find out that it is not big enough for your stuff. Another important reminder is the process of assembling of the unit. If you are a person that does not enjoy putting an IKEA furniture together, it looks like this unit will be a challenge for you. However, if that is the only thing preventing you from buying this unit, remember you can always ask a friend to help you. Overall it might take some time to put it together and finally install it, but compared to how much value you can get out of it, in the long run, it might be worth it. Having said all that, from our research, this box seems like a good purchase for what it is built for. It gives you a compact, light, durable cargo solution, one that can last a long time without costing you too much money. Of course, the money part is always subjective and depends on how much you want to spend. This entry was posted in Reviews, Thule Sidekick on January 26, 2017 by ozziewizzard.